Editor’s Note: This article was updated in April 2017 to show sites that are no longer active or have completely shut down (they are striked out) due, in part, to the increased dominance of ultra-massive corporate websites. To help in your quest, we have gathered the 50 best places to meet other book lovers online. Choose from general, specific, high-brow, comics, and much more. Add your favorite book websites in the comments section below. These sites are great places to meet other book lovers online if you have a love of all books. WeRead: Both readers and authors can come here to meet up and meet other lovers of books. Share ratings, get recommendations, and take part in loads of other fun. In addition to creating a personalized page, you can also join several book clubs, along with loads more. It is also available on many other social networks such as Facebook and MySpace. Goodreads: (purchased by Amazon in 2013) Keep track of the books you have read along with the ones you would like to read by stopping here. Good reads also allows you to get recommendations from friends and even collect favorite book quotes. You can also connect through your Facebook, Twitter, or Google page. LibraryThing: A community of over one million other book lovers wait for you here. A good feature of the site is the option to keep track of your entire home library in one place. You can also take a tour to see what it has to offer. Shelfari: (Owned by Amazon, shutdown n 2016) with Goodreads in Create a virtual shelf to show off your books, see what your friends are reading, and discover new books here. You can also search books or members by most popular. There is also a widget to put your personal book shelf on your blog. Listal: If your love of books extends to movies, television, music, and games, this is the online network for you. Create your own lists or reviews with a simple click. There are also forums with more. GuruLi: Organize your reading on one site here. You can also connect and share with other book lovers. There is also a featured book, sample library, and other features. Chain Reading: The site caters to those who are addicted to reading. You can also write reviews, as well as keep track of what you are reading. Popular and recent items are featured on the homepage. These sites offer tools to make your enthusiasm of books known to other book lovers online. Shelf Centered: Love your Amazon wish list? Then visit here to catalog and combine it with many other reading lists. You can also share with your friends. aNobii: If you want just a tool to share your love of books with your blog readers, click here. The site will also help you meet others with similar tastes. They are even giving away an iPad and all you have to do to enter is invite friends. Books Well Read: Those who take notes on what they read will enjoy this tool. It also comes with the usual cataloging capabilities. You can also choose to share or not with your friends. Book Jetty: A stand out feature of this online site for book lovers is the ability to do one search for a book across a wide spectrum. You can search Amazon along with over 300 libraries in eleven countries. There is also a social network. Stuffopolis: Organize your books and more with this useful tool. It also helps with movies, music, games, and more. You can also use it to borrow and loan items from your online friends. Bibliophil: This site also allows you to loan or borrow items from other book lovers online. You can even use it to search for the best price on a book you want. They also have several top 100 lists with more. Book Army: Book lovers living in the United Kingdom will enjoy this site. Create your very own profile page to begin meeting others. There are also resources for authors. Juicespot: This site is for Canadians who want to meet other book lovers online. Check out reader comments, book reviews and book lists. Choose to spill or get the juice, along with other options. Download or view books at absolutely no charge to share with other book lovers here. Google Books: Due to controversy, Google reached a groundbreaking agreement with both publishers and authors. Choose from classics, magazines, highly cited books, and more. Simply sign in with your Google account to get a customized library. Project Gutenberg: Started years ago, this project was designed to again revolutionize the way we read books by making them available online. To date, over 30,000 books have been uploaded and can be read on your computer, iPhone, Kindle, and others. With books uploaded daily, it is a must visit. Bartelby: If looking for more scholastic books, stop here. Visitors can choose from reference, verse, fiction, and nonfiction books. You can also get Harvard Classics, the Bible, and more. Many Books: With over 26,000 books to read, this site also has an impressive database. Books of the Week are given every seven days as recommendations. They also feature covers if you feel like judging by them. Daily Lit: Still don t have enough to read? Then stop here to get minutes a day of great reading sent to your inbox for free. You can choose how, where, and when to receive them. There is also a Poem a Day options available. Scribd: Visit here for a user maintained book site. People come here to upload all sorts of reading materials. Check them out or add your own. PDF Geni: If PDF is your preferred form of reading, stop here. A variety of eBooks are available at no charge. Top downloads are also available on the homepage. Free Ebooks: Find the help you need, the information you seek, or simply fun reading to enjoy. To get started select a category or browse by author from the left or run a search. You can also submit your own eBook. Discuss what you have read with other book lovers below. AALBC.com: Our African American Literarture discussion forums have been running continously since 1998 and a great place to talk about your favorite books. Oprah s Book Club: One of the most well-known book clubs in the world, you can join online. With a variety of reading lists to choose from, you will never be at a loss for something to read. You can also get the latest book news, excerpts, and more. Books a Month: With a new book every 30 days, members are challenged to clean off those shelves. With messages for a particular selection measuring in the thousands, it is a must see. You can also get peeks at next month s selection to get a jump on it. B&N Community: Barnes&Noble is not only a leading book seller, but they also offer a top notch online book club. There is a community, boards, blogs, and more. You can also follow their Twitter feed. Book Club Girl: This blogger has started a book club all on her own. Check out her recommendations, participate in discussions, and more. She is also part of Authors on Air. Book and Reader: Read, review, and discuss all on one site. Latest book discussions are available to participate in. They also offer forums and blogs. Book Movement: Get a review of book clubs as well as books on this site. Over 22,000 book clubs are featured here for the viewing or joining. If you have your very own club, find out more about how to get it listed here. Table Talk: If you enjoy Salon.com, you will enjoy their book club. Active discussions can reach over several thousand messages. Recent ones include mangled language and cookbooks. Reader s Circle: Get both book club meeting information and author appearances on this site. They even offer a site just for singles to meet other book lovers online. Avid Reader Book Club: This is a place to celebrate and discuss literature, as well as interact with hundreds of other book lovers just like you. The online book club lets you share your thoughts, opinions, and questions with readers from around the world. You can also sell your books here. Meetup: Still can t find a book club in your area? Then visit this social site to view meetings for book clubs across the world. It is also useful for meetups in other areas. If your love of books leans toward a certain kind, check out the below online social networks. Book Talk: This online book club is targeted more toward the higher end of the reading spectrum. Topics discussed include religion, politics, science, philosophy, and other related items. They also have a community and blogs. Mystery.net: If you love Sherlock Holmes, Agatha Christie, and the rest, visit here. Choose by author, title, join in what s new, and more. They also offer online mysteries with even more. AALBC.com: The African American Literature Book Club focuses its reads on items written by the black community or meant to be uplifting. Stop by to get reviews, information, and more. They can also be followed on Facebook. Comic Book Resources: This site is well known for getting all the latest and greatest in the world of comic books. Visit the forums to discuss DC, Marvel, and many other topics. There are also specialty comics, blogs, and much more. Comic Vine: Click here to meet other comic book lovers online. Unlike the above, the site actually acts as an encyclopedia to answer all your comics related questions. The community is also full of others who share their love of this genre. SF Site: Lovers of science fiction will enjoy this site. Discussion forums review many new works. Experts also take the time to give opinions on the newest releases. Be sure not to miss the podcasts with more. Classic Reading Groups: Now on its second version, this book club devotes itself to the classics. A Yahoo! Group, they discuss a new volume each month. Members can also post messages, files, photos, and more. eHarlequin: If a few of your books have Fabio on the cover, this is the club for you. The community offers blogs, forums, and reading challenges. The site also has recommendations for both reading and writing. Buried.com: Express your love of horror novels here. There are reviews from every author from A to Z. There are also many other horror related resources on the site. The Stacks: Publisher Scholastic runs this book club exclusively for kids. They can create their own avatar, personalize their page, and meet other book lovers online. They also offer games, videos, and more. These sites fit into a category of their own. Borders Media: Get the latest on all media, including books, from Borders. Original programs include a book club, Borders Live, and more. Bonus features include funnies and web series. ABC Tales Radio: Listen to readers by writers, poets, and actors here. Latest news and uploads are featured on the homepage. The podcast also has loads more. NPR Books: Start with the best books of 2009 on this site. You can also move on to interviews, must reads, and audio stories. They also have features on books from all over the radio. BN Review: Get reviews of latest releases from Barnes & Noble. With daily updates, interviews, and more, make time for this site. 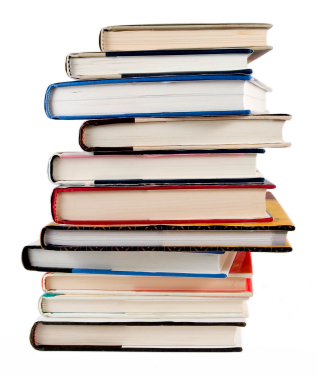 The Five Books section contains various topics and the five books that go with them. Bookwire: Choose your genre on this site to begin reading more about books you love. They also have titles to watch with more. Books by genre are also featured. Amazon Daily: This is a blog that contains posts by editors from all over the company. Whether you're a die-hard fiction lover, a gadget geek, an avid collector of classic films, or just a fan of what they sell, you'll find all sorts of entries that will interest you. The main site also has loads more for book lovers. No matter your age, reading interests, or preferences, you are sure to make loads of friends on the above 50 best places to meet other book lovers online. Not only limited to the virtual world, you can use them to find a club in your area, or meet someone special.